Medical artwork displaying all Facial muscles on a beautiful female face. A clear and thorough depiction of these muscles may help educate patients before Cosmetic procedures like Botox injections. 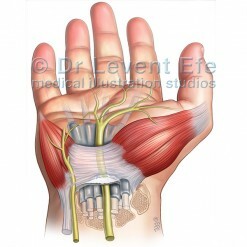 This anatomical artwork is suitable for print and online presentations for public education. SKU: An01. 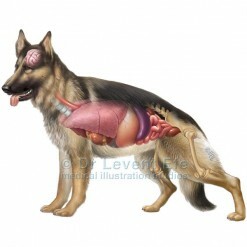 Category: Anatomy. Tags: anatomicalIllustration, corrugatorMuscle, facialMuscles, frontalismuscle, LevatorAnguliOrisMuscle, masseterMuscle, mentalisMuscle, mimicMuscles, occipitofrontalis, orbicularisMuscle, platysma, procerusMuscle, risoriusMuscle, zygomaticusMajorMuscle, ZygomaticusMinorMuscle. 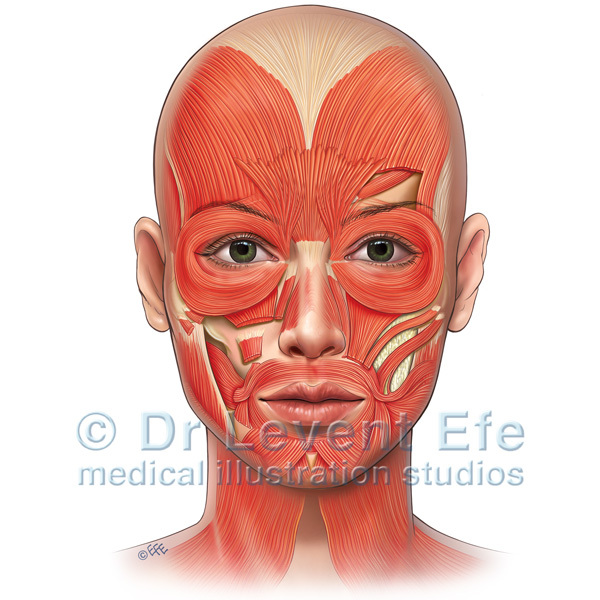 Computer generated medical illustration depicting a human head with Facial muscles (mimic muscles) superimposed. The image is suitable for educating patients before Botox treatments. 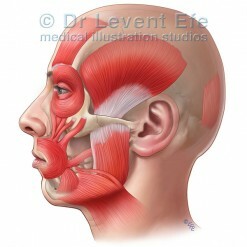 Injection sites on several muscles, like the Corrugator supercilie, Frontalis or Orbicularis oris can be clearly explained on this chart.